My mother had this recipe for many years and I am not sure where she got it from. My son has made this cookie for competitions with 4-H and won several ribbons. I thought I had lost it and searched and searched on the internet but never could find it. I finally did a search on my husband’s computer and found it, YEAH!! I want share it with others since I can not find it on the internet. Heat oven to 350 degrees F. Cut chocolate bar into 1/4″ pieces. In large mixer bowl, beat butter, granulated sugar, brown sugar, and vanilla until creamy. Add egg; beat well. Stir together flour and baking soda. Add to butter mixture; blend well. Stir in macadamia nuts and chocolate pieces. Drop dough by heaping tablespoonful onto ungreased cookie sheet. Bake 10-12 minutes or until lightly browned. Cool slightly; remove from cookie sheet to wire rack. Cool completely. Makes 2 dozen. I have to try the recipe soon with almond flour. 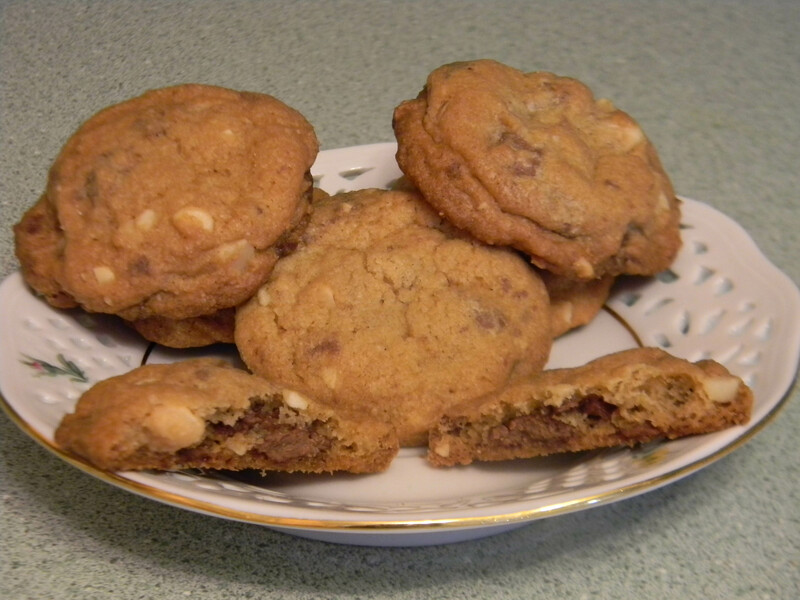 This entry was posted in Food, Food and Drink, Posts and tagged baking, cookies, macademia nuts. Bookmark the permalink.